1) We are younger than we think. 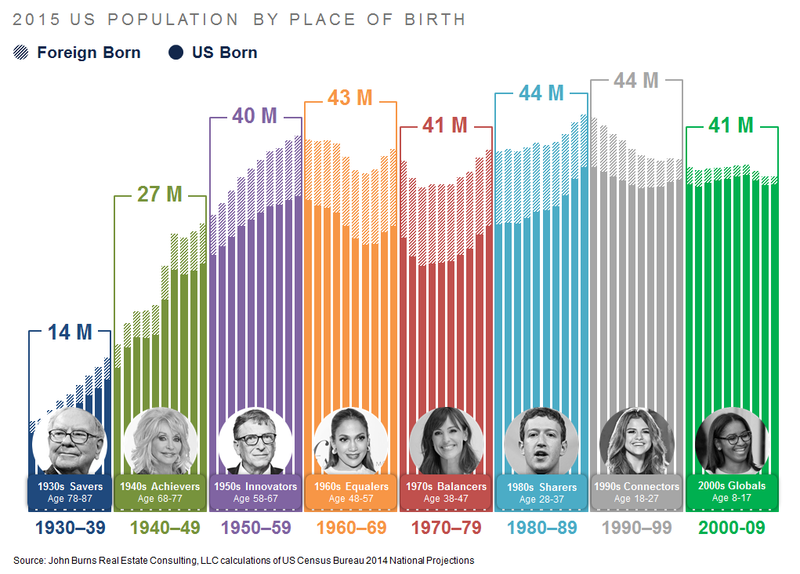 Half of respondents believed that the number of Americans born in the 1990s is exceeded by either the generation born in the 1950s (the Baby Boom) or the generation born in the 1970s (the Baby Bust!). Not true! While we are aging faster than we think (see the next question), the number of young adults is very high. Consider how competitive it has become to get into a good college. 2) We are also aging faster than we think. 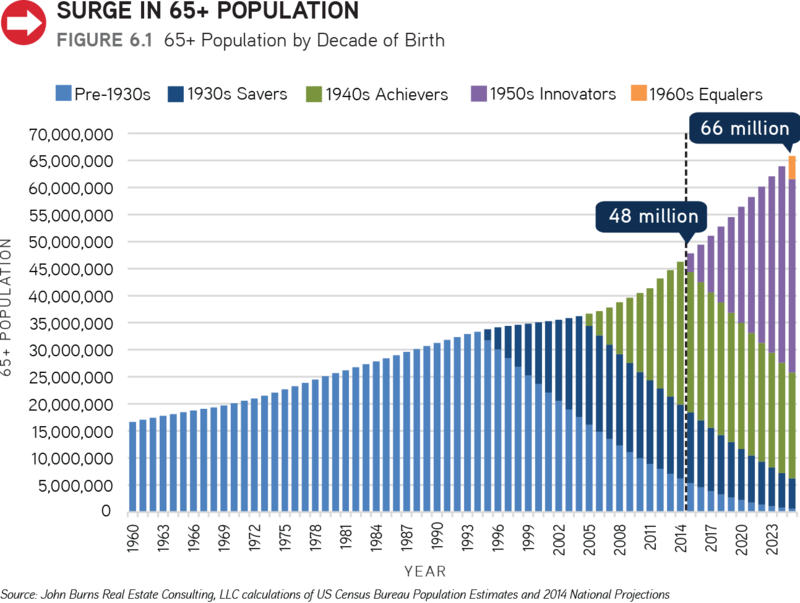 52% of respondents thought our population over age 65 will grow 22% or less over the next 10 years. It will actually grow 38%+/-. That will obviously cause more strain on pension programs than people think. 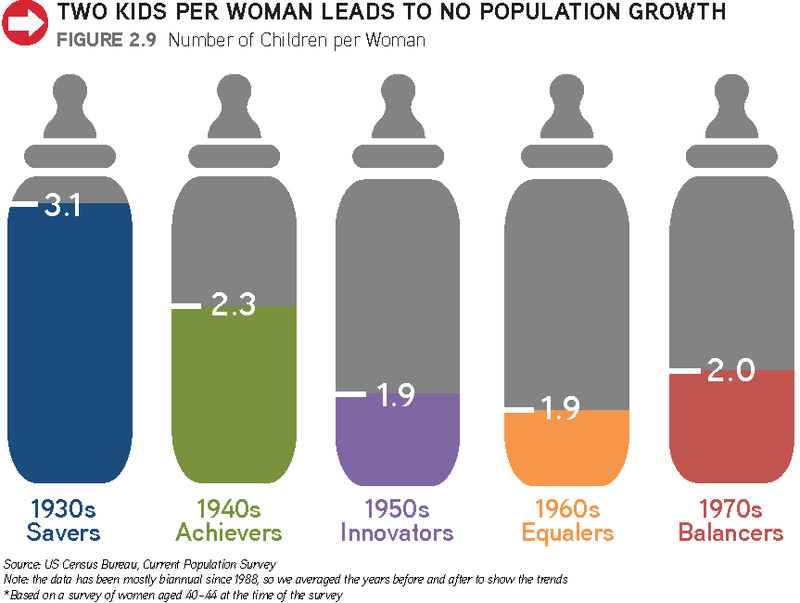 3) Fertility rates matter far more than we think. 57% of respondents believed that the US population would be a maximum of 27% larger if birth rates had stayed the same as in 1960. The right answer is that the US population would be 79% larger, with 590 million people instead of 330 million! Three of the four big shifts in our 4-5-6 Rule combined to have a far bigger impact on the US population than most people think. The three big shifts are government (legalized abortion), technology (birth control), and societal shifts(intentionally having fewer children). 4) We are far less entrepreneurial than we think. 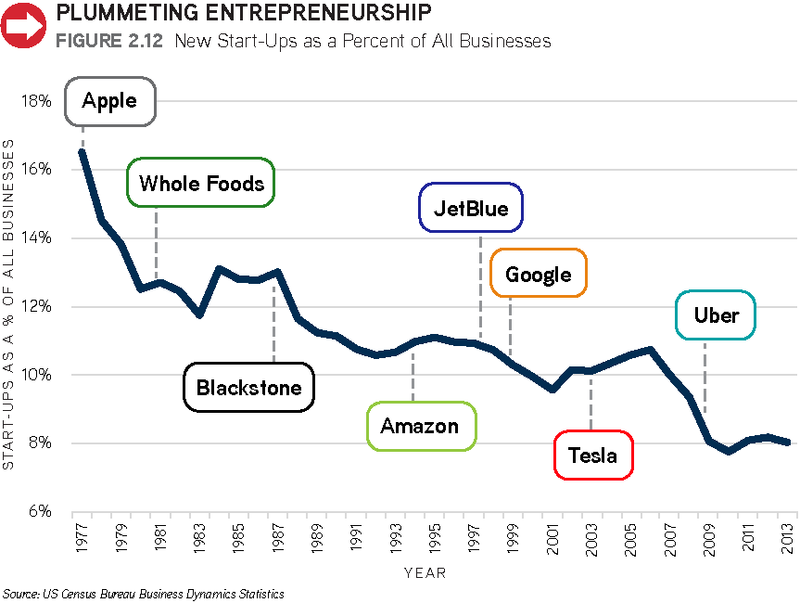 The percentage of US companies that are startups (less than a year old at the time of the survey) has been steadily plunging to 8% of all companies. 65% chose a higher % of startups, and almost half thought it was 20%—more than the 1970s, when Apple, Microsoft, and so many other great companies were started! 5) We are more educated than we think. 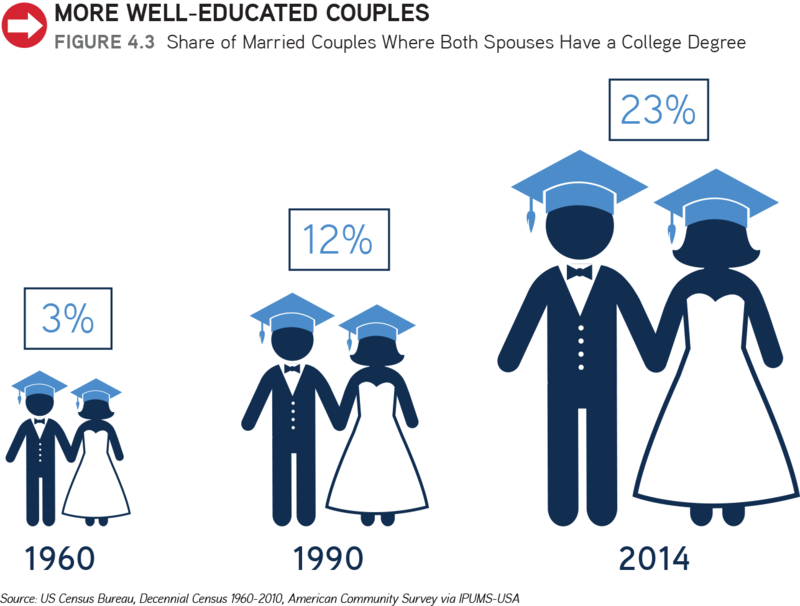 Exactly half correctly chose 23% as the correct percentage of married couples who both have college degrees, but far more respondents chose a lower % (8% or 15%) than a higher % (35% being the option). 6) Single–parenting is far more prevalent than we think. 41% of children are born to a single mom. Fully 63% of respondents chose a much lower percentage—23% or less of all children! 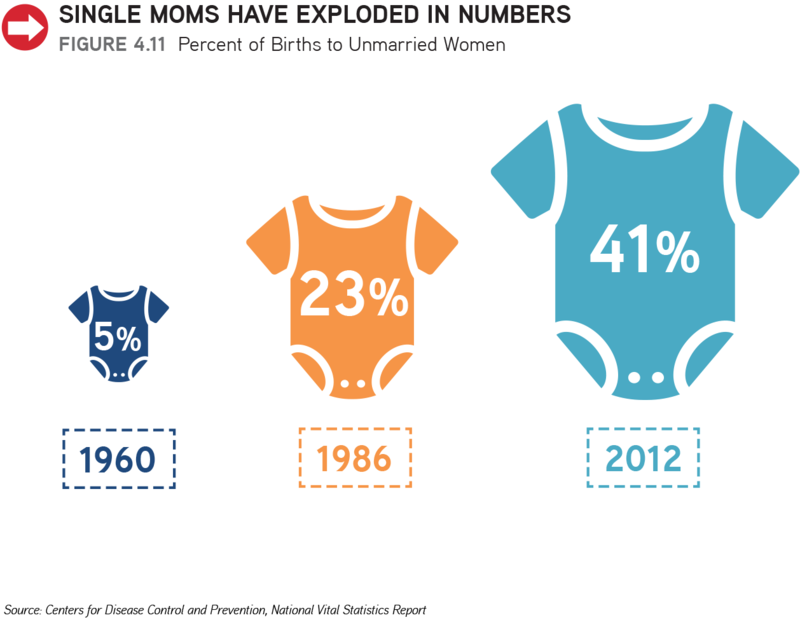 For those who are curious, just over one-half of these single moms are still partners with the father on the birth date. 7) We are far less urban than we think. Only 8% of Americans live in an urban downtown. More than half of the respondents believed that 22% or more of Americans lived in urban areas—a massive difference. 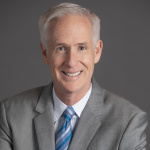 Of course, urban definitions can vary, but our definitions include all of the cities that have professional sports teams except for Green Bay and three others. Even including all of the neighborhoods in those cities, we can only get to 15% of Americans living urban. 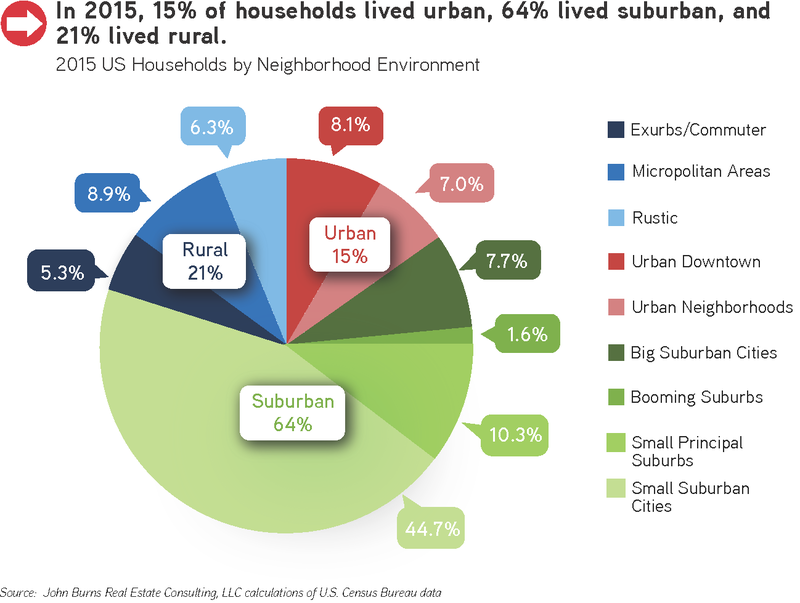 64% of Americans live in the suburbs, and 15% live rural. 8) We move less often than we think. Americans move once every nine years. 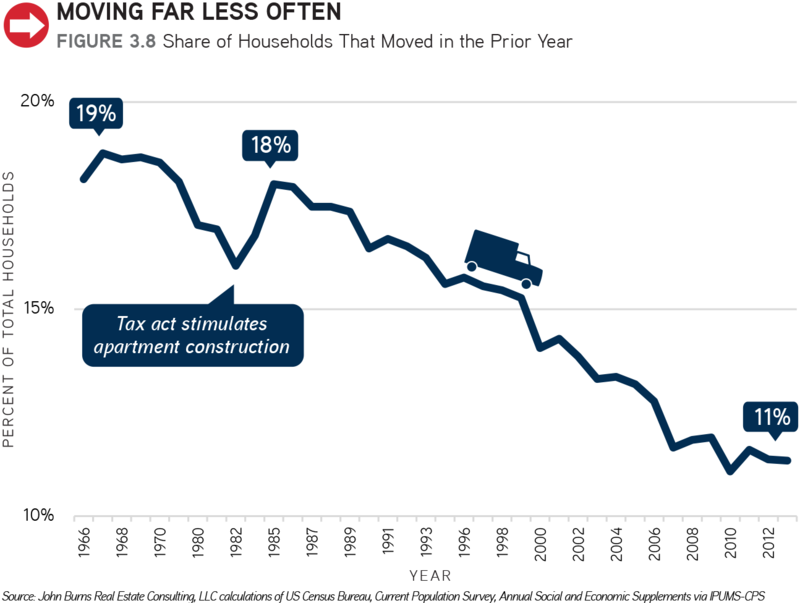 The rule of thumb that began around 1990 that Americans move every six years is no longer true, and it is not just due to the Great Recession. American mobility has been steadily trending down for over 30 years. We looked at the results by age group, too, and noted that our younger respondents were the least informed. Perhaps reflecting their own peer group, they chose much higher than actual education levels, far too many people living urban, and a significant percentage even thought California’s population was growing faster than Texas or Florida’s.Those approaching or already over the age of 65 were also far too high on the percentage living urban. In conclusion, make the best decisions possible using the free or low cost facts that are more readily available than ever. In particular, breaking the population down by decade born will allow you to collect and analyze data in the most logical way. Be ready to change your strategy when the world around you changes. Use the 4-5-6 rule to make sense of all the disruptors going on in the world. Because you are one of the few people who read all 800+ words of this post, I am confident you will be more successful than most. 982 people completed our survey, representing a similar distribution to American adults other than an underrepresentation of those born in the 1990s (only 9% of respondents were aged 17–26). We promoted the survey on our social media accounts, so the sample was likely skewed to executives and others interested in demographic and housing market research. We assume this is a highly educated group.